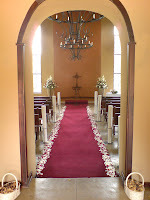 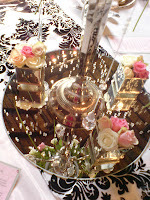 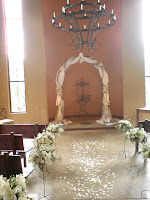 This wedding was very pretty! 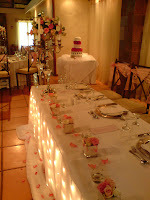 Cassie knew when she started planning her wedding that she wanted a "girly" wedding and that is exactly what she got! 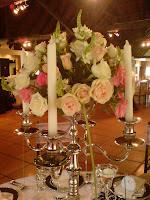 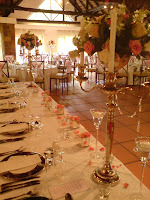 But while the pink tie backs and roses added a girly feel to the wedding, the mirrored boxes, candelabras and floating candles added the sophistication and elegance that was so obvious in this wedding. 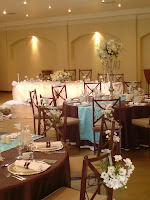 Elrese and Regardt chose a modern colour scheme of turquoise and brown. 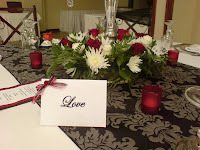 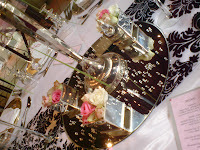 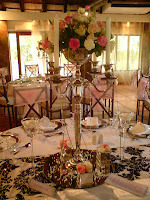 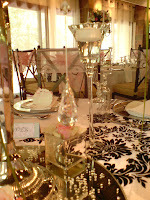 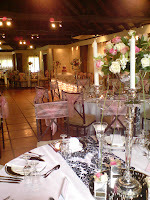 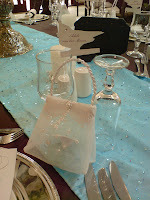 these colours combined with the little details that were included in the wedding helped create a beautiful wedding. 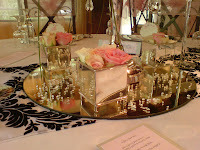 These details included detailed candles on the tables, napkin rings, beautifully wrapped gifts, crystals and lots lots more! 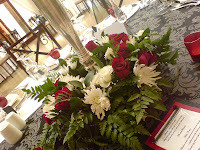 This unique twist on the classic red, black and white wedding was really a pleasure to work with! 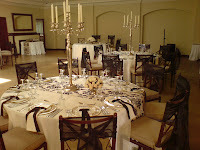 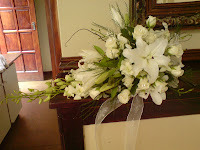 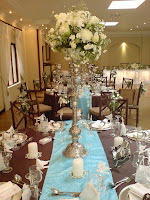 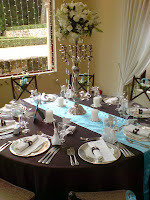 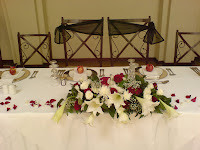 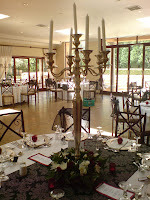 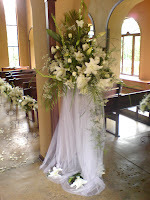 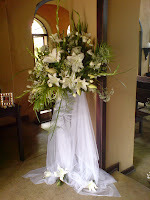 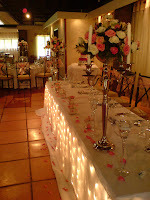 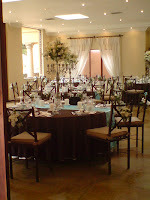 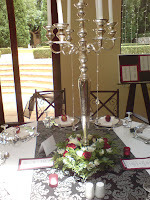 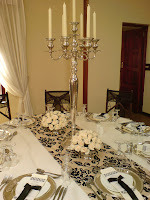 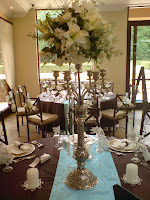 Marizel and Ignatius decided to keep the decor simple but classy and the result was stunning! 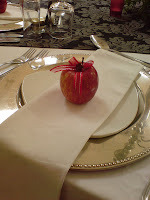 The unique apple gifts just finished the look off. 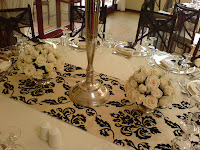 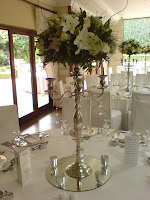 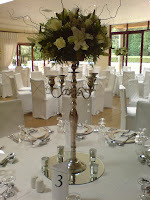 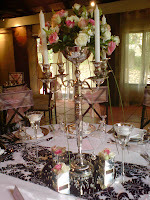 Renske and Mark decided to keep their colour scheme to classic silver and white. 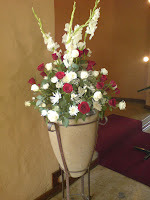 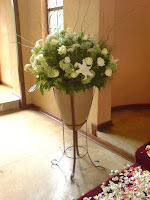 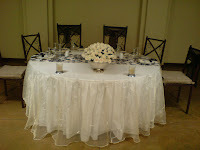 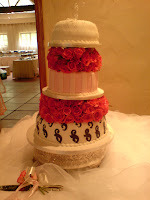 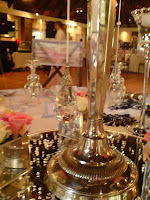 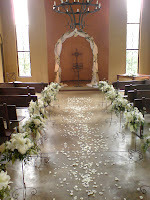 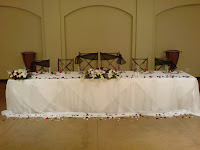 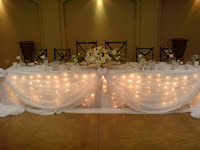 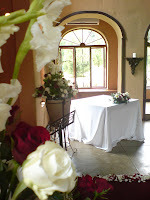 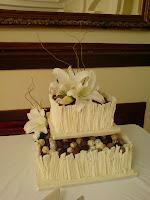 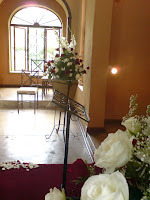 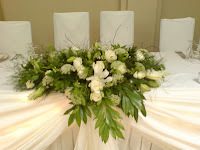 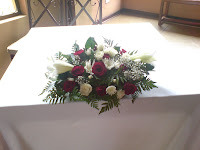 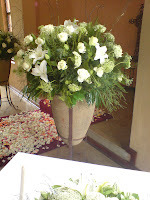 This worked wonderfully and brought a fresh, but soft, feel to the venue. 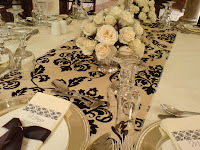 Classic yet modern Scheme of Black and White. 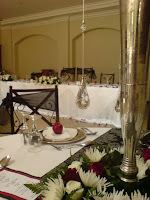 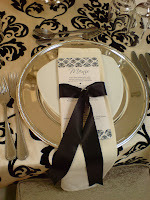 These simple, but very effective, colours were enhanced by the silver elements and attention to detail (eg the napkin ribbons) that Elaine and Francois chose to incorporate.